As you may know, I have been trying to catch up on what exciting things I’ve made before returning to blogging. The last couple of items I would like to share with you are the fresh pasta and the waffle brownies I made. Up first, the pasta. 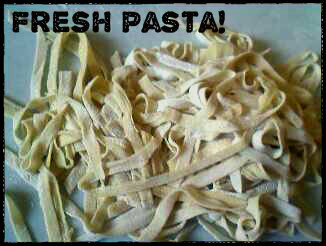 I made fresh pasta for the first time in a long time. It is a bit of a process to knead together the flour and eggs, but once you get started, it is really easy. It is one of my favorite doughs to work by hand. Just two ingredients, rolled out thin, and cut into pieces. Cooks in a few minutes. It really couldn’t be easier. And it tastes SO MUCH BETTER than the pasta from the store. You can even add tomato or spinach right to the pasta dough (might require more flour, to make it not so sticky) which makes it so flavorful, you don’t need to add anything. Maybe just some olive oil. Oh! Pro-tip! Make sure you salt your water! It’s the best way to add salt to pasta (or to veggies). 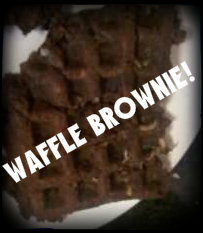 The other item I am excited to share is waffle brownies. This entry was posted in brownies, dessert, food, fresh pasta, olive oil, pasta, waffles. Bookmark the permalink.